Why Should I Watch It? SundanceTV is making the most of its original series. Between “Rectify” and “The Red Road,” the young company owned by AMC Networks is ready to surpass its parent company in quality after “Mad Men” goes off the air in 2015. Yet “The Honorable Woman” makes a case for its network’s superiority now. Thanks to a calculated and commanding performance from star Maggie Gyllenhaal, this twisty and exciting spy game is one you won’t want to miss. Best Episode: “The Ribbon Cutter,” the miniseries’ fourth episode, illustrates the beauty of its medium with incredible precision. Not only does it answer many of the secrets hidden within the first three episodes, advancing the story rapidly, but it also creates new stories for us to sift through in the second half of the limited series—no easy task for a flashback episode. Why Should I Watch It? Heavily-hyped Netflix Originals usually pay off: From “House of Cards” to “Orange is the New Black” to “Derek” to “BoJack Horseman,” Netflix has a hot streak going they certainly don’t want to break. Their latest is also their most ambitious. With a reported budget north of $90 million and a marketing department making a full court press, “Marco Polo” is the equivalent of a Hollywood blockbuster released on Christmas Day—only Christmas comes early this year. Best Episode: No idea. “Marco Polo” just released the first six episodes of the 10-episode first season to critics, and I have yet to dig thanks to a little thing called Thanksgiving. 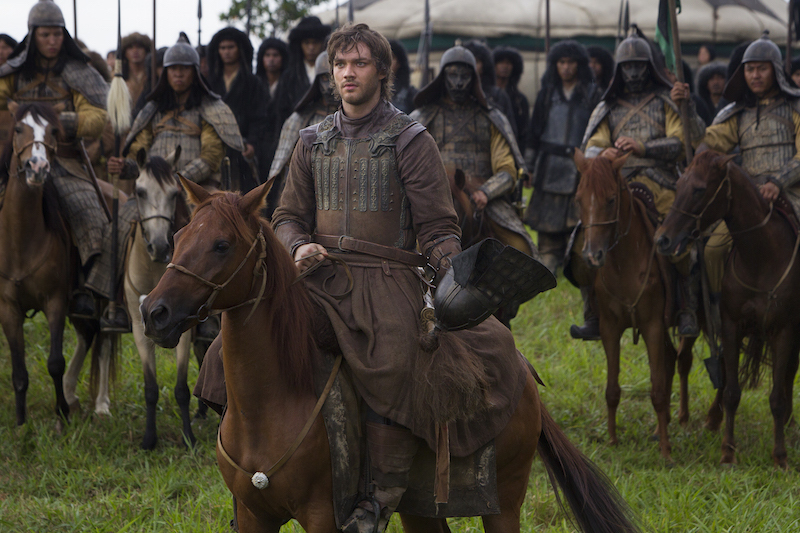 Look for more “Marco Polo” coverage closer to its December 12 release date, all right here at Indiewire. READ MORE: Watch: Are You Old Enough to Watch the New NSFW ‘Marco Polo’ Trailer? Why Should I Watch It? Some people embrace the Christmas spirit, others reject it. This pick is for the latter. Ryan Murphy’s increasingly extreme horror series reached peak absurdity in its third season, featuring Emmy winners Jessica Lange and Kathy Bates as descendants of Salem who reside within a boarding school in New Orleans. Witchcraft plays a key role, but voodoo and clairvoyance are also introduced via some new cast members. Don’t expect anything tame in the shocking episodes of “Coven,” but you surely won’t be bored. Why Should I Watch It? After railing on the new Fox series “Gracepoint,” a cliched remake of this British original, I’m not about to claim I’ve seen its predecessor. After all, my part in the review was to be the unbiased control, judging the new show on its own merits rather than how well it imitated those earned by what came before it. 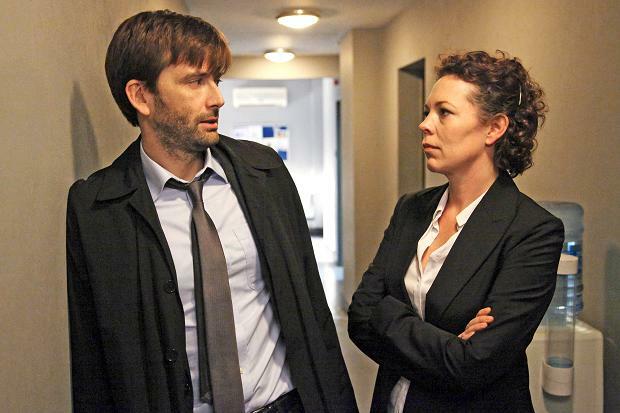 I still have yet to see “Broadchurch,” but I plan to correct that promptly once Netflix makes “Broadchurch” available for easy-viewing on the 12th. Right now, I’ve still got “Gracepoint” stuck in my teeth. Best Episode: Here’s hoping it’s the first one. If not, I may never see the end of this mystery. Who killed poor little Danny? Which one of the shifty-eyed citizens in this small coastal town did it? I’m eager to dig into their secrets one more time, if only because I’m pretty sure the Brits know how to handle subtlety better than American broadcast networks. Why Should I Watch It? 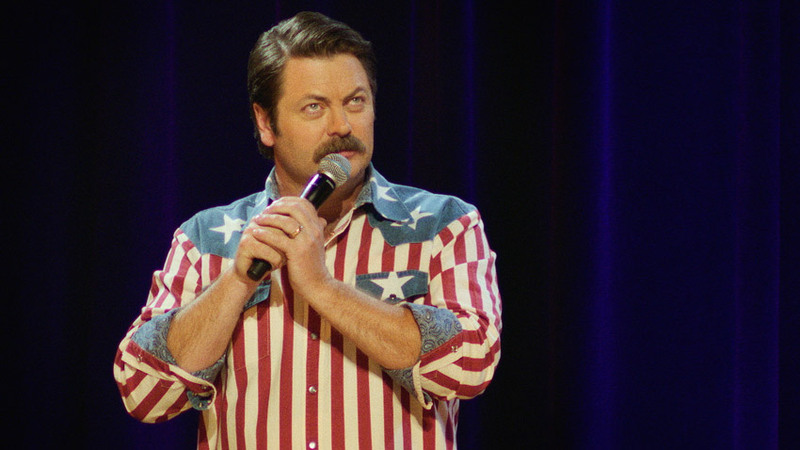 If you’ve ever seen an episode of “Parks and Recreation,” then you know Nick Offerman is always worth watching. The manliest man to ever walk this earth, Offerman has embodied all the best aspects of Ron Swanson from the Amy Poehler-starring NBC comedy. Granted, his wood-working skills are all his own (as he’s owned his own woodshop for longer than the show’s been on the air) and the mustache is his, too. Heck, the line where Ron Swanson ends and Nick Offerman begins is blurry. So let’s watch this special and try to find it. Best Episode: There aren’t episodes in stand-up, so I recommend anyone looking for more Offerman, once “American Ham” ends, turns on “Somebody Up There Likes Me,” a passion project from director Bob Byington featuring the actor as an oddball who’s very un-Swanson-like. If that’s not your cup of tea, then you better just watch some more “Parks and Recreation.” Both will be streaming on Netflix. Why Should I Watch It? Mark Maron deserves his time in the spotlight. The veteran stand-up comedian has earned the respect of everyone in the comedy world, enough to keep his weekly podcast stacked with quality guests and Maron himself busy guesting on shows like “Louie.” And now that he has his own TV show, Maron has been attracting just as many famous faces for short stints there as well. Come for celebrities Ray Romano and Sarah Silverman. Stay for Maron’s dry but ferocious wit. Best Episode: It’s hard to top the star-studded lineup of “Marc on Talking Dead.” Marc continues to shoot himself in the foot despite landing plum roles for himself, as a guest on “The Talking Dead,” and his podcast, as Sarah Silverman stops by for a conversation. The beautifully simple autobiography, being played out in a parallel universe so close to our own, is on full display here. And Maron makes the most of his time on our screens, the screen inside the screen, and on our internet airwaves. He’s still the star of the show, no matter who he brings on part-time. READ MORE: FX’s ‘Louie’ Is an Important Show, But Is IFC’s ‘Maron’ More Fun? Why Should I Watch It? Above, I said Mark Maron deserves his time in the spotlight. The same cannot be said for Ryan Reynolds, an actor who’s been given more than enough opportunities to become a movie star. While I still like Reynolds blend of snark and heart, I don’t think there’s an argument supporting him as a looked over star of any kind. 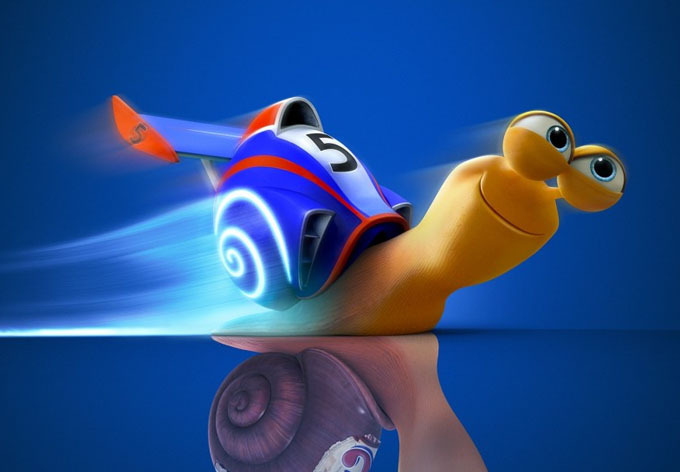 I didn’t even see his animated 2013 film about a snail who wants to race in the Indy 500. How the modest-grossing kids’ flick became a TV show is beyond me, but I’m still somewhat surprised Reynolds isn’t involved. After all, he needs the work. Best Episode: Taking over for Reynolds as the titular Turbo is Reid Scott, a man most recently seen guesting on “New Girl” as Jess’ love interest in the Season 4 premiere, but best known as the power-hungry Dan Egan on HBO’s “Veep.” Seeing as it’s owned by Netflix’s top competitor, the Julia Louis-Dreyfus political comedy isn’t available for streaming outside HBOGo. If its Scott you crave, though, and you’re not in the mood for something too childish, check out the TBS comedy “My Boys,” a sporadically funny but constantly charming option now available on Netflix.